U.S. 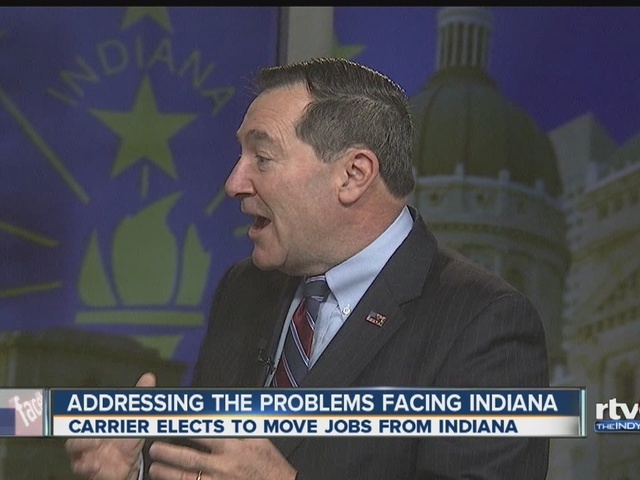 Senator Joe Donnelly is not buying Carrier's claim that federal regulations were behind the company's decision to relocate 1,400 jobs from Indianapolis to Monterrey, Mexico. “They’ve never cited a single regulation in regards to this and said that the regulations in Mexico are exactly the same as in the United States. It’s real clear what this is about. This is about Carrier chasing Mexican wages at $3 an hour, that’s what this is about," he said Thursday. After meeting with Carrier executives Wednesday, Gov. Mike Pence told reporters the executives said the decision to relocate had nothing to do with the business climate in Indiana, but that they were frustrated with the "rising tide of red tape" in Washington, D.C.
"When you look at a company that has made $7 billion in earnings last year, that’s not sales, that’s profits. Their CEO made over $7 million last year. Their CEO before that one, just a year or two ago, took home $195 million on his last day. And the savings that they’re going to have from this is a flyspeck compared to their operations. And they ought to invest in the working families of Indiana and our country. They’re firing veterans, they’re firing our friends and neighbors. Making $7 billion and walking home, the CEO with $7 million in his pocket. When is it enough?” Donnelly said. Donnelly said he would like company executives to sit down with him to discuss their decision to move. RTV6 has reached out to Carrier several times for information about the federal energy regulations they say is the reason for the move. They have not responded. 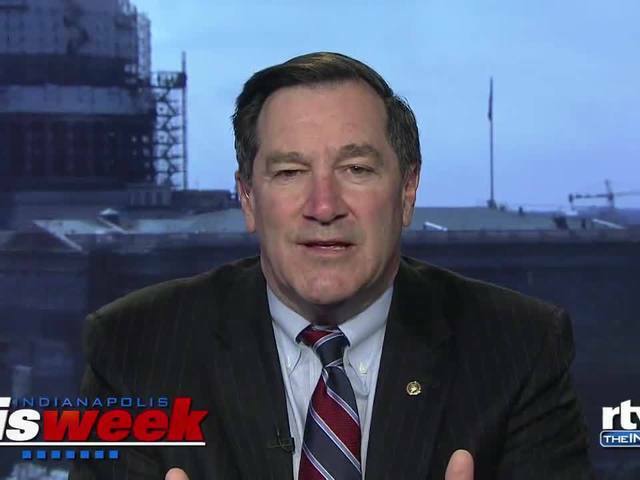 Sen. Donnelly joined Good Morning Indiana Friday to discuss Carrier's move to Mexico. The video of that interview is also available in the player above. 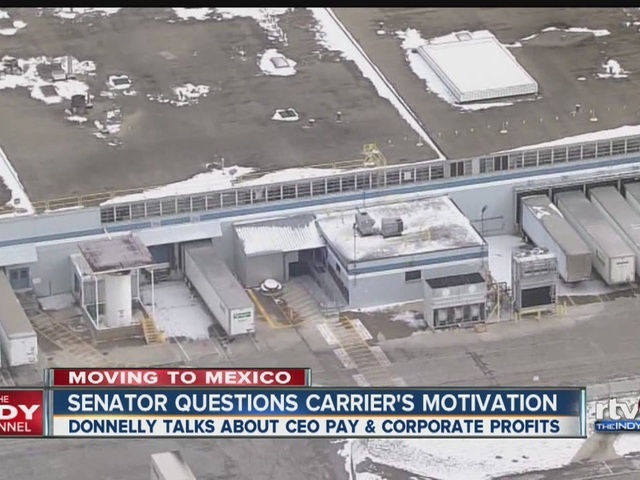 On Friday, State Sen. Mike Delph added his voice to the chorus of those who are lashing out at Carrier's decision to move from Indy to Monterrey. Delph introduced a resolution that, "expresses profound disappointment in the company's plans to move 2,100 Hoosier jobs to Mexico for the purpose of cheaper labor and increasing stockholder wealth."